In early 18th century England, rivals Lady Sarah and Abigail vie for the favor of Queen Anne. One of 2018’s eight nominees for the Best Picture Oscar, The Favourite takes us back to 1708 and the reign of Queen Anne (Olivia Colman). The Queen suffers from ill health and seems essentially disinterested in her role as leader, so she largely allows close adviser Lady Sarah (Rachel Weisz) to act in her stead. 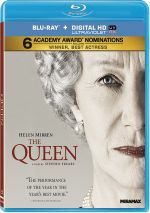 When Sarah’s cousin Abigail (Emma Stone) arrives in search of employment, she quickly endears herself to Queen Anne and creates a bitter rivalry with Sarah, as both vie for their ruler’s favor. No Oscar shock will ever compare with the crazy way that 2016’s La La Land “won” the Oscar only for a correction to quickly reveal Moonlight as the real victor. However, Colman’s trophy as Best Actress comes close. Very few real surprises occur at the Oscars, and for 2018’s films, Glenn Close became viewed as the heavy favorite to win Best Actress for The Wife. If not Close, it seemed likely to go to Lady Gaga for A Star Is Born. When Colman’s name emerged instead, I actually gasped. Colman herself seemed utterly shocked at this development, as her wacky acceptance speech showed someone clearly unprepared to win. Personally, I question Colman’s nomination as Best Actress, but not due to her performance, which works quite well. Instead, I don’t know if she offered a true lead performance, as I see Favourite as a three-headed monster with no true main character. Oscar has long worked in mysterious ways when it comes to the separation of “lead” versus “supporting” performances. While I understand that Queen Anne acts as the straw that stirs the film’s drink, I still don’t see her as a character who dominates the story over her two co-stars. Whatever the case, Favourite clearly enjoys strong talent in front of the camera. In addition to Colman’s win for this film, Stone took home an Oscar for La La Land and Weisz nabbed one for The Constant Gardener, so we find a fine lead trio. All do well in their roles, as they adapt to the movie’s quirky rhythms. On the surface, one might expect Favourite to provide a standard, stiff period drama, but in the hands of director Yorgos Lanthimos, the film delivers an arch take on its genre. While Favourite doesn’t attempt to modernize its material in an overt way, it manages to span the story’s era and today in clever ways. We get subtle anachronisms that add zest to the proceedings without obvious violations of the story’s period. Perhaps 2019’s Trump-centric news makes his presence seem apparent where it’s not, but I can’t help but see parallels between the current president and the reign of Queen Anne. She comes across as a vain, irrational and incompetent leader manipulated by others via flattery. Also, Anne’s weaknesses allow her to drive away those around her with actual talent. Why does this sound familiar? Trump connections aside, Favourite offers a deft character piece, one with a cynical view of politics. All involved connive and undercut to get ahead, and the movie lacks much sense of warmth. 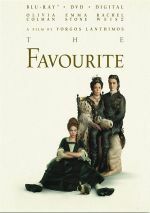 Favourite doesn’t soften its characters in an appreciable manner. Even though the leads all come with reasons to earn our sympathies, the film paints them as so flawed, cruel and self-involved that we never bond with any of them. And that’s fine with me, as I like the barbed edges the movie presents. Not every movie needs characters who endear themselves to the audience, so I appreciate Lanthimos’s unwillingness to tone down the nastiness on display. Of course, this sense of arch cruelty means Favourite won’t be for everyone, and even those who like the film might find themselves put off by its unusual ending. Despite a few niggling flaws, the film offers a charged take on politics that usually soars. The Favourite appears in an aspect ratio of approximately 1.85:1 on this Blu-ray Disc. This became a strong presentation. Overall, sharpness seemed very good. Some interiors came across as slightly soft, but the vast majority of the film appeared accurate and concise. In terms of palette, Favourite went with a heavily teal and orange orientation. We found splashes of other hues on occasion, but hey remained in a distinct minority in this largely teal/orange affair. Within stylistic choices, the hues seemed well-depicted. Blacks were dark and dense, and low-light shots gave us good clarity. I felt pleased with this solid transfer. Similar thoughts greeted the fairly good DTS-HD MA 5.1 soundtrack of Favourite, as the soundfield mostly delivered a mix heavy on atmosphere. Environmental noises cropped up in the side and rear speakers, and “action” moments – mainly related to shooting sports - added to the track. Those elements created a nice sense of place and added impact to the material. The soundscape also featured the score in all five speakers to form an involving setting. Audio quality satisfied. Speech sounded crisp and distinctive, and music appeared robust and full. Effects were accurate and dynamic, while low-end response showed good warmth and richness. Nothing here dazzled, but the audio merited a “B”. Called Unstitching the Costume Drama, a featurette runs 22 minutes, 19 seconds and offers notes from director Yorgos Lanthimos, writer Tony McNamara, producers Ceci Dempsey and Ed Guiney, director of photography Robbie Ryan, historical advisor Hannah Greig, costume designer Sandy Powell, hair and makeup designer Nadia Stacey, casting director Dixie Chassay, and actors Emma Stone, Rachel Weisz, Olivia Colman, Joe Alwyn, James Smith, Mark Gatiss, and Nicholas Hoult. “Unstitching” discusses story/characters and historical elements, reinventing the genre and using modern elements, cast and performances, hair, costumes and makeup, Lanthimos’s methods and approach, cinematography, and connected domains. Like many “making of” featurettes, “Unstitching” mixes useful material with happy talk, much of which praises the director. This becomes a decent overview of the production but not one that excels. Four Deleted Scenes fill a total of two minutes, 47 seconds. Given their brevity, one shouldn’t expect anything major here. The clips offer some minor tidbits but nothing memorable. In addition to the film’s trailer, we get some ads under Sneak Peek. This area offers promos for The Aftermath, Can You Ever Forgive Me?, The Old Man & The Gun, Three Billboards Outside Ebbing, Missouri and The Shape of Water. A second disc provides a DVD copy of Favourite. It includes the same extras as the Blu-ray. A wry, sly take on the costume drama, The Favourite offers a clever and unusual effort. Cynical and darkly comedic, the movie benefits from its pervasively nasty attitude and its stellar trio of lead actors. The Blu-ray brings very good picture along with positive audio and a disappointing set of supplements. I wish the Blu-ray came with better bonus materials, but the movie itself becomes an incisive work.